Member since date is one of those metrics that seems basic but it can bring a lot of value in the process of customer analysis. Not only that it’s a main differentiator between your new and older customers but it also allows you to create segmented analysis based on your member since date. By gaining more awareness of your customers, their buying habits and their time on your website, you have a much greater foundation from which to serve their product and service needs. There could be several reasons for analyzing your members to learn which one are the oldest ones and how many are the new ones. Offering free goods, discounts and exclusive offers for regular customers gives an impression that you value them and keeps them coming through your door. A study by CMSWire shows that a customer is most likely to return after he purchases a product from your store. Getting that first visit is like planting a seed that takes a lot of effort i.e. to create the conditions to get a customer on site and rewards in the long term. Another study shows how targeting repeat customers is a lot better way than repetitively chasing new customers. Depending upon the types of modules you have installed such as WooCommerce Memberships, Paid Membership Pro, BuddyPress and Ultimate Member etc., the field name may vary. For example, if you have BuddyPress module installed and active, the field that would show up in Users Insights would be “Date registered” which we can use to apply filter “Date Registered is more than 60 days ago”. This would get us our oldest customers and we can sort these to learn about the oldest customer or member. In this scenario, we had BuddyPress installed and activated and we made the “Date Registered” column visible. 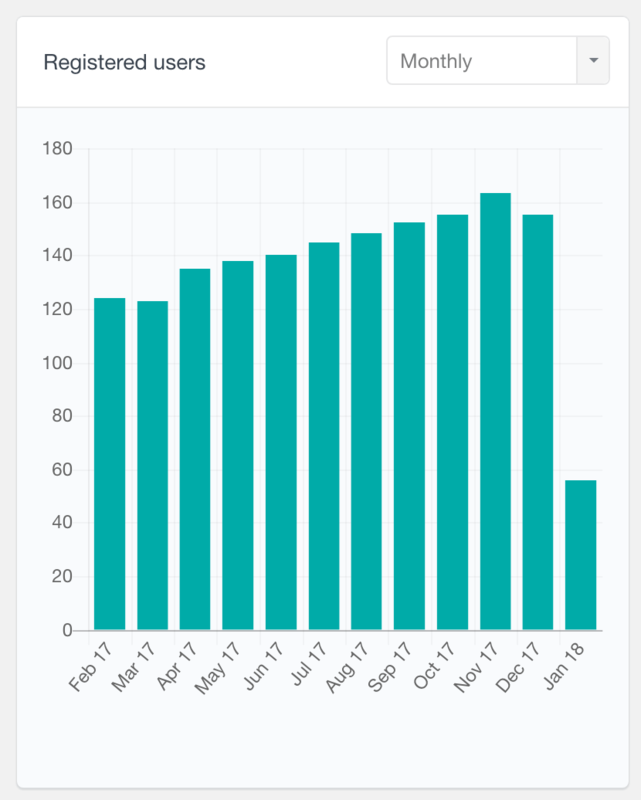 If you have WooCommerce Memberships module installed for your e-store or any other website, you would find a field, “Member since” in Users Insights. Apply a filter “Member since is more than 60 days ago” to show members who have been your members for 60 days or more. Do not forget to make the “Member Since” column visible first. Paid Membership Pro is a member management and membership subscriptions plugin for WordPress. If you are running a paid membership business online, you might get the need to get a list of your new and old subscribers or customers. Make sure that the “Member since” column is visible and apply a filter, “Date registered is more than 90 days ago”. Voila! That’s all you have to do to get a list of your members that have registered more than 90 days ago. Make sure that you have Paid Membership Pro module installed before doing so. Similarly, if you would like to know about your new members, you can apply a filter, “Date Registered is less than 30 days ago”. This would give you a list of your customers who have registered on your website in the last 30 days. You could then engage them into some sort of marketing campaign such as publish distributed content, send email newsletters and more. Reports are an easy way to interpret large data that has been accumulated over the time. Reports are made to be intuitive to every user. According to Demandgenreport, 95% of B2B buyers stated that they preferred shorter and highly visual content formats. 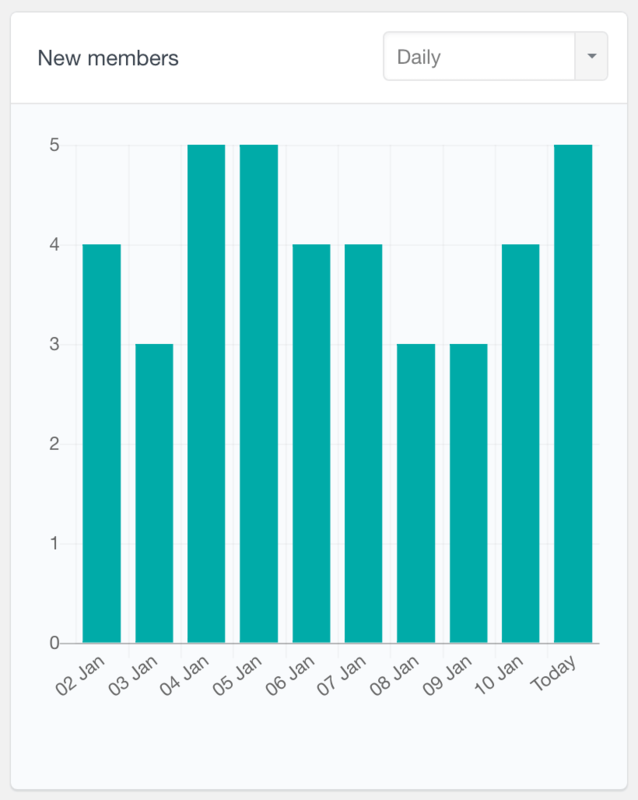 For example, if you head over to Users Insights reports, you would see a “Registered users” report which you can generate by daily, weekly, monthly and yearly intervals. This is a quick and easy to understand way to get to know your registered users per year, week or month. 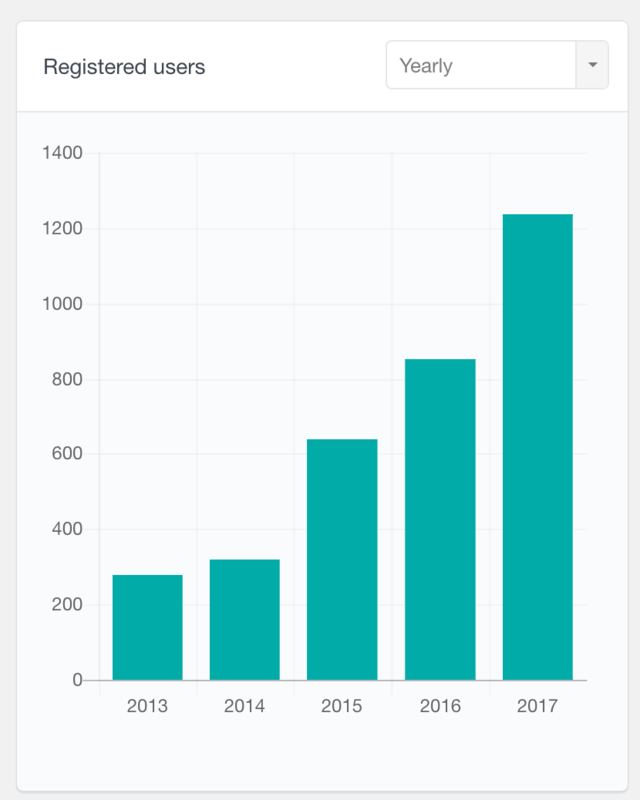 Similarly, if you have WooCommerce Memberships installed and you would like to know the number of new members you have had in the previous few years, months or weeks reports will tell you this quickly and efficiently. Simply head over to the reports and select WooCommerce Memberships from the given tabs. You could see that all the new members came in 2015, if you switch the weekly or monthly intervals, you would see in-depth data. An important piece of information you need is the email address, to build a detailed buyer persona. In the same manner, if you have Paid Membership Pro installed, then you might be interested in taking a look at signup data over the past. 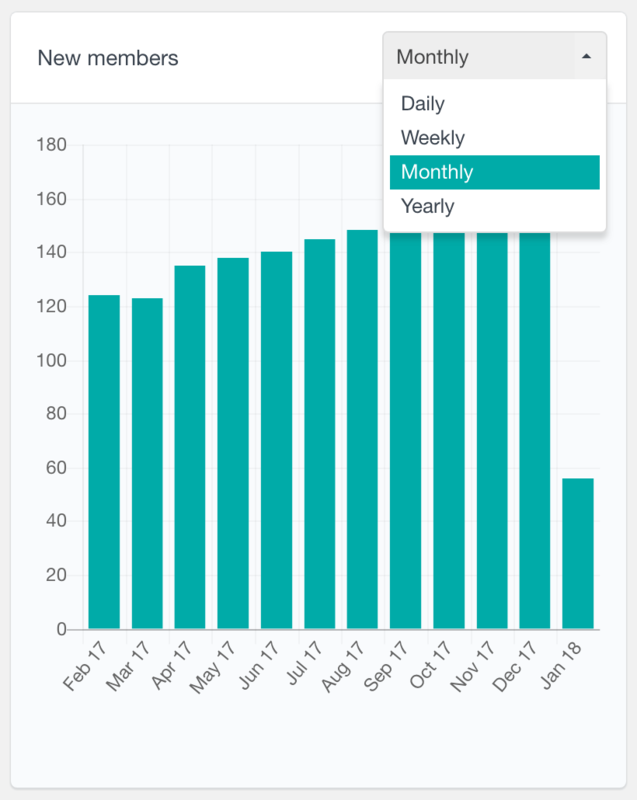 In the same manner, you can head over to the reports, select Paid Membership Pro from the given tabs and select whether you want to show data on yearly, monthly, weekly or daily intervals. We learned how we can get to know our customers more with the help of Users Insights reports and filters. Analyzing the member since date of your WordPress members allows us to filter out new and old customers. According to the research made by rjMetrics, the majority of spending (over 69%) by customers, is in the first 30 days since the first purchase. We learned how we can combined two filters to filter out our most loyal customers based on their order history and their registration date. Having this kind of information about your customers can be a good opportunity to create a marketing campaign for your existing and new customers.